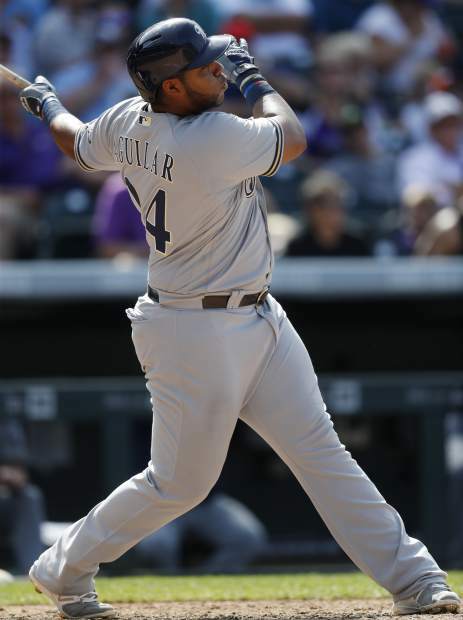 DENVER — A day after coming off the bench to hit a decisive home run, Jesus Aguilar made the most of his start at first base. 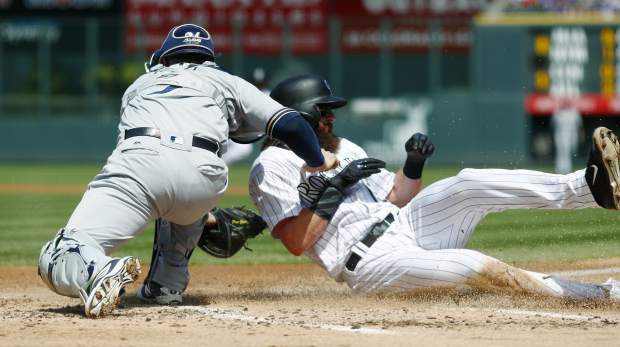 Aguilar picked up where he left off and homered twice, Chase Anderson won in his return from the disabled list and the Milwaukee Brewers beat the Colorado Rockies 8-4 on Sunday for their sixth victory in seven games. 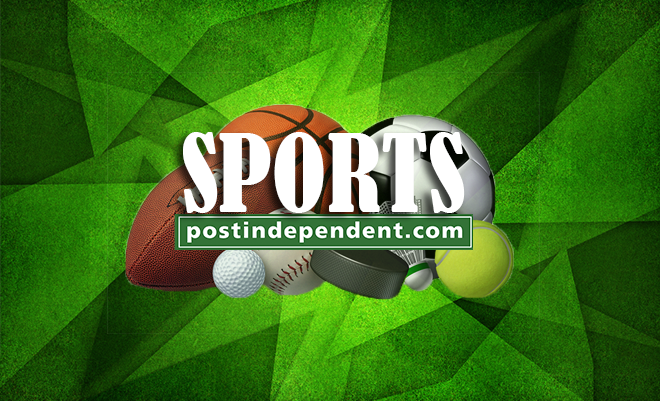 Keon Broxton drove in two runs and Jonathan Villar added three hits as the Brewers remained two games behind first-place Chicago in the NL Central. 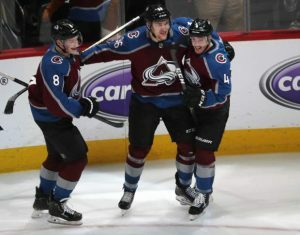 They climbed within 2½ games of Arizona for the second NL wild card — and are just 3½ back of Colorado, which holds the league’s top wild card. Anderson (7-2) allowed one run and two hits over five effective innings. He threw 73 pitches in his first start since straining his left oblique on June 28. The right-hander struck out four, walked three and hit two batters with pitches. 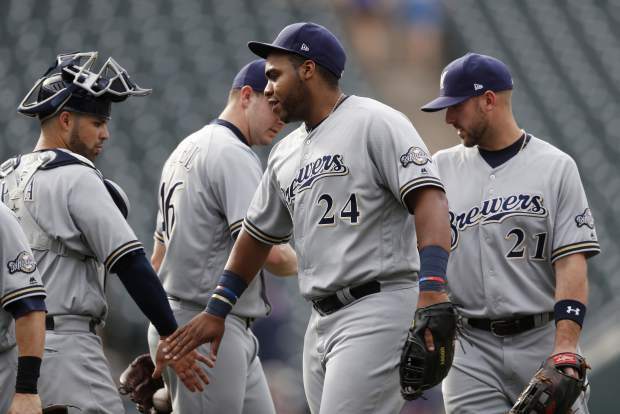 Aguilar tied it in the second with a homer off starter Kyle Freeland (11-8), and the Brewers added a run on Ryan Braun’s sacrifice fly in the fifth and another on pinch-hitter Neil Walker’s RBI single in the sixth. Aguilar connected again in the seventh, a two-run shot off reliever Tyler Chatwood, for his 14th homer of the season and second career multihomer game. One night earlier, Aguilar launched a pinch-hit homer against All-Star closer Greg Holland to put Milwaukee ahead with two outs in the ninth. Pinch-hitter Eric Sogard had an RBI groundout in the eighth and Broxton hit a two-run single in the ninth. 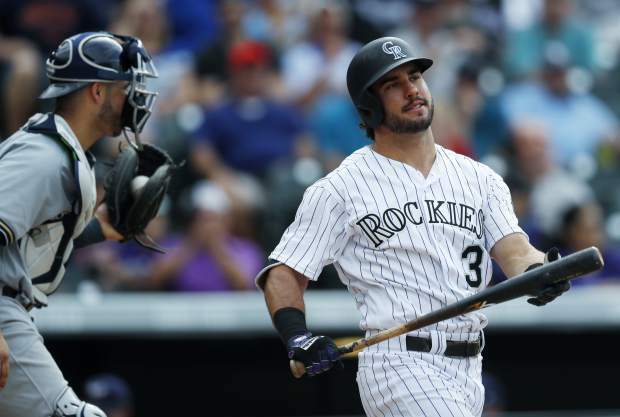 Mark Reynolds hit his 26th homer and drove in three runs for the Rockies, who lost for the third time in four games. 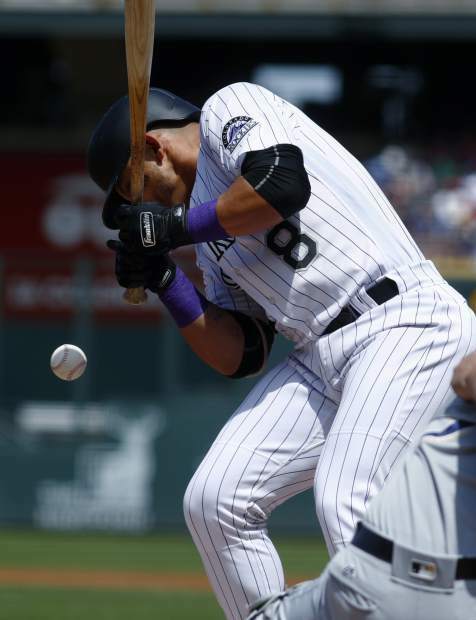 Carlos Gonzalez added three hits and an RBI. 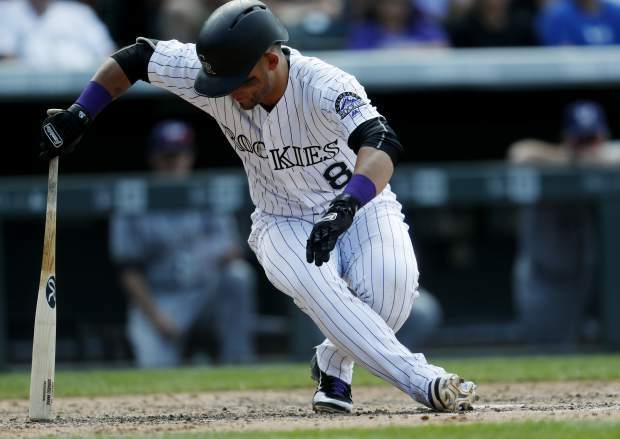 The Rockies scored twice in the ninth off reliever Jeremy Jeffress and put two more in scoring position. 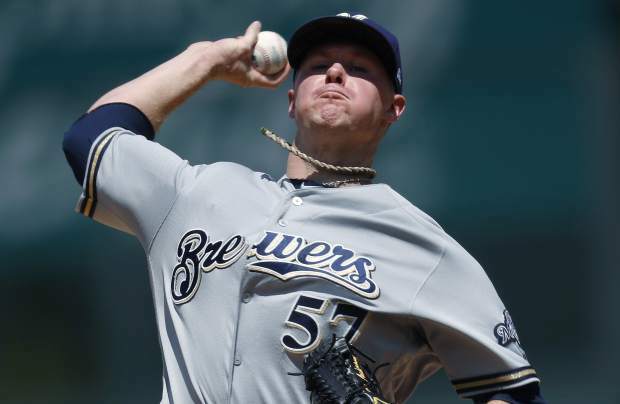 Corey Knebel struck out pinch-hitter Mike Tauchman for his 26th save. Freeland, who was born in Denver, allowed four hits and three runs — two earned — in 5 2/3 innings. 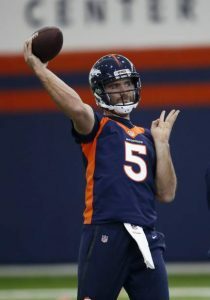 He struck out seven and walked five. 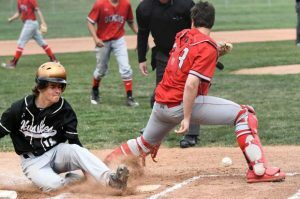 Colorado committed four errors and finished its homestand 3-4. Knebel set a Brewers record for most strikeouts in a season by a reliever with 99. Brewers: Jett Bandy (cracked rib) was on the field throwing and will try to resume hitting this week. Counsell said the catcher could return in September. 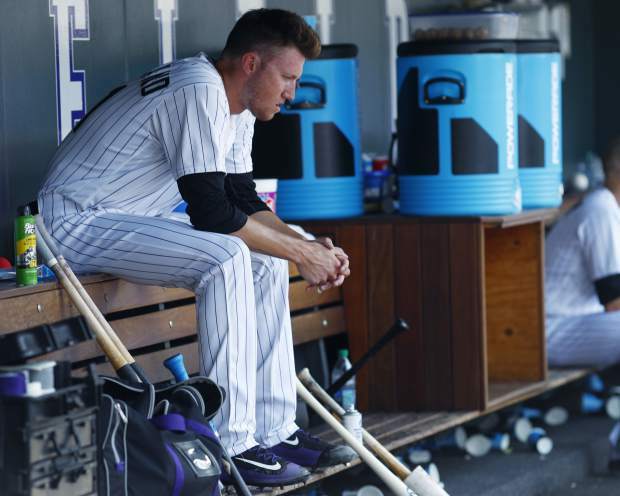 Rockies: C Ryan Hanigan tweaked his groin and was removed for pinch-hitter Jonathan Lucroy in the sixth. . Ian Desmond (calf) ran the bases and will go out on a rehab assignment soon, Black said. 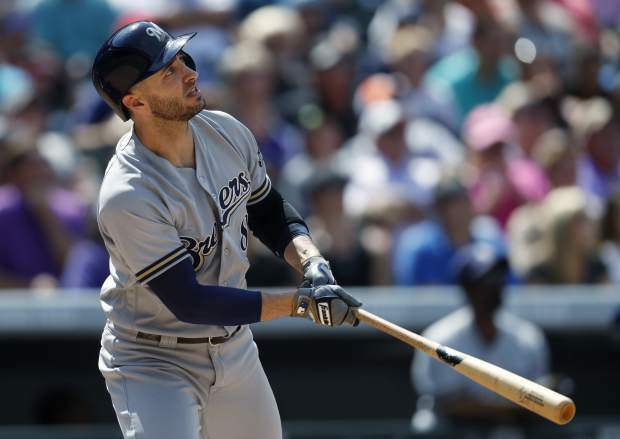 Brewers: RHP Zach Davies (14-6, 4.26 ERA) faces San Francisco’s Chris Stratton on Monday as the Brewers begin a three-game series against the last-place Giants at AT&T Park. Davies has a 2.52 ERA on the road this season. Rockies: After an off day, RHP Jon Gray (5-2, 4.74) takes the mound against Kansas City LHP Danny Duffy on Tuesday as the Rockies begin a three-game set against the Royals. Gray is 2-0 with a 2.89 ERA in three August starts.